A great resource for learning how to use Google Maps in the Classroom, with guides on creating a classroom map, inserting pictures, publishing and more. Also included are some classroom project examples. A wealth of online resources for using Google Earth in the Classroom, including classroom examples and tips/tricks for including content. This article shows how to measure area and perimeter using Google Earth. A Google Maps/Spreadsheet mashup that allows a user to use a Google spreadsheet to import data to auto-create a map. 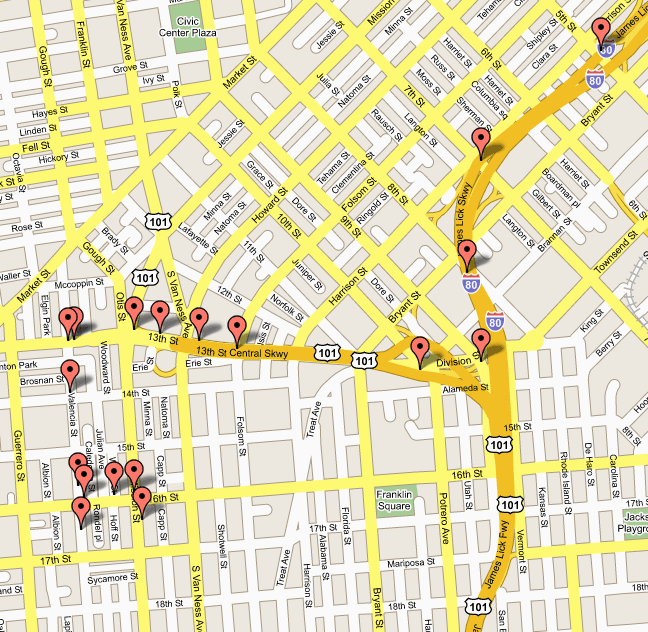 User must grant access to Google account to the Map-A-List engine. Use a spreadsheet template to generate a map with different types of markers and text boxes. District 6 Delicious Bookmarks with the tag "GoogleMaps"